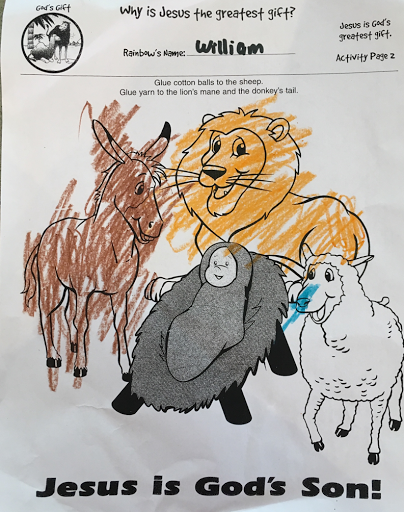 This is the coloring picture Will brought home after class last night from Wednesday night service. I love the random blue nose. 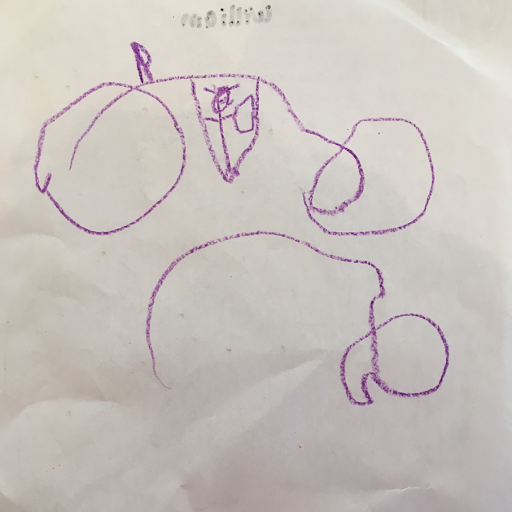 On the reverse side, he drew "a Mustang with me riding in it." He pointed to the fin on the back of the car and said that he was "jumping over something with my front wheel." I loved this! I love the steering wheel and his little hat. What will his art look like in a year? "I look like Mr. TJ!"